A few road and street signs are all that's left of Cain City, a commercial center and resort town once known to thousands, now all but forgotten. Cain City began as the dream of an ambitious Kansas businessman and promoter named Joseph Stinson. In 1913 Stinson, then living in San Antonio, heard about a railroad being built from Comfort to Fredericksburg. He traveled the proposed route looking for a place to build his dream city, and in the hills 6 miles south of Fredericksburg, he found it. The view from Cain City overlooking the Pedernales River Valley. Stinson purchased 324 acres on a rise overlooking the Pedernales Valley. 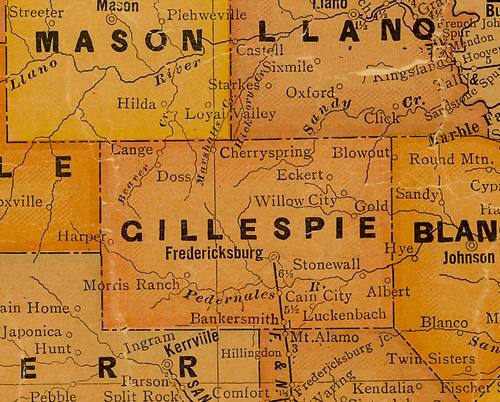 The country to the west, extending down through Stonewall and Hye, was then and still is the most productive farming region in Gillespie County. 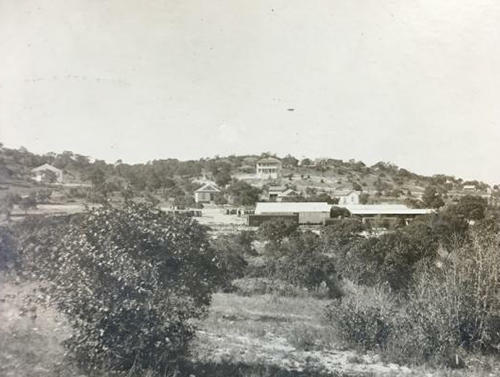 Stinson envisioned his city as the shipping point for Pedernales Valley produce. The name of Stinson's city came from a fundraising contest. The railroad company promised to name a community along the route after the person who raised the most money for the project, and Charley Cain, manager of the Peden Iron and Steel Works of San Antonio, was that person. Stinson's dream town became Cain City. By 1914, a year after the Fredericksburg & Northern Railroad came through, Cain City had a depot, a general store, a lumber yard, a two-story hotel, a filling station, and a farm produce warehouse. The bank came along in 1917 followed by a drug store, a barber shop, and a dancehall. There was a telephone exchange, a post office, a blacksmith shop, and a church that doubled as a school. Cain City had the first, and for a while the only, municipal water system in Gillespie County. 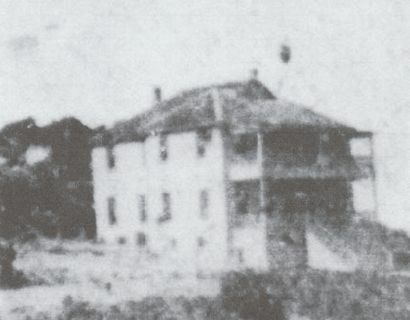 Joseph Stinson built a storage tank high up on a hill behind the hotel. A pump filled the tank with water, while gravity provided ample water pressure to the town below. Then a curious thing happened. 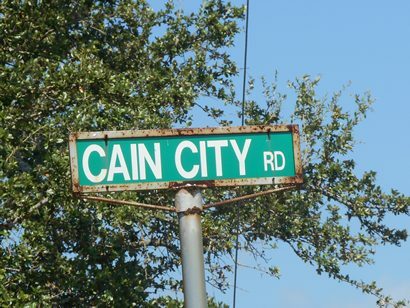 Wealthy Texans, looking to escape the crowded streets of San Antonio and smelly air of Houston, discovered Cain City. 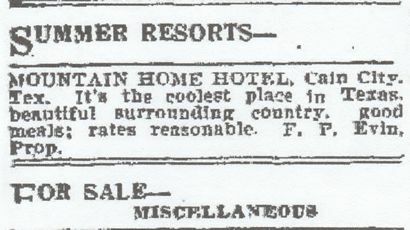 They caught the train to the Hill Country and "summered" at the Mountain Home Hotel. Guests lounged in deck chairs on the breezy gallery where the air was sweet and the scenery spectacular. 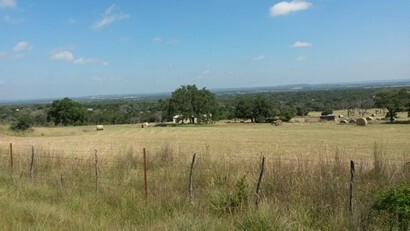 The beautiful Pedernales Valley stretched out before them like an Irene Klein painting, with the spires of Fredericksburg visible to the north. For a time Cain City thrived. In its second year of existence, the town shipped 300 train cars filled with produce worth half a million dollars. But its glory days were brief. By 1920 automobiles and improved roads gave Cain City consumers quick and easy access to Fredericksburg with bigger stores and a greater variety of goods and services. As business slowly evaporated, Cain City was caught in an unfavorable economic cycle, and the drop in business and population became a steady and irreversible trend. Joseph Stinson saw the signs. In 1922 he sold out, moved back to San Antonio, and went into the real estate business. 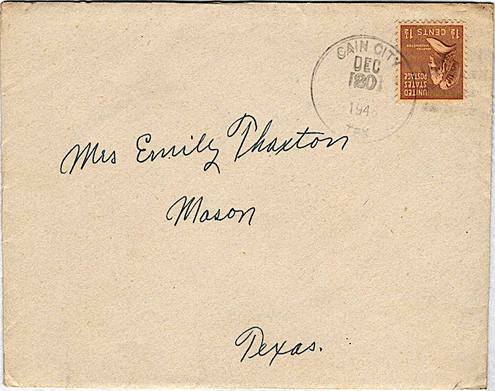 Dwindling deposits caused the bank to close on January 11, 1927. The main highway from Fredericksburg to San Antonio was rerouted through Comfort, ending the shortcut through Cain City. The Great Depression hit like a Joe Louis right hand. The general store caught fire on December 4, 1929. There was no city fire department to save it. The railroad, never profitable, went out of business in 1942, leaving Cain City high and dry. By 1950 Cain City was a place on a map, but the town no longer existed. Fredericksburg Standard, May 9, 1946, "Founding of Cain City Came With Railroad in 1913," p7. Fredericksburg Standard, April 9, 1919, "Cain City," p5. c1. Kerrville Daily Times, January 9, 1988, p3.